As promised… more Shibui! 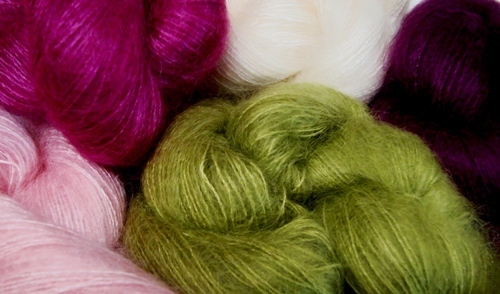 Our latest yarn is called Silk Cloud – a perfect name. 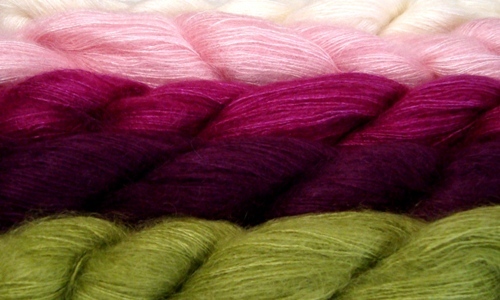 This great yarn is made from a luscious blend of 60% kid mohair and 40% silk. 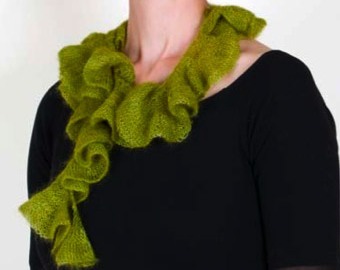 To make this fabulous Swirl Scarf, all you need is one skein of Silk Cloud. The ruffles are made using a simple increase technique of KFB. This scarf will make an elegant statement, with a flirty twist! 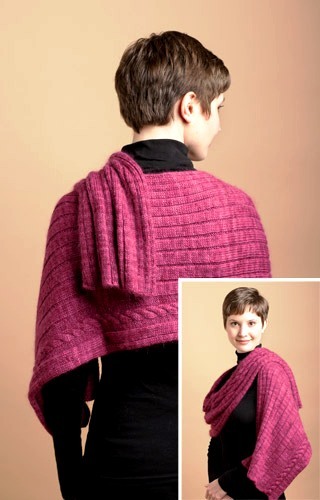 The Cabled Rib Wrap takes three skeins of Silk Cloud and 4 skeins of Baby Alpaca, and is knit on 4.5 mm needles. This is a warm, soft wrap with a beautiful drape. Great for a Mother’s Day gift! Silk Cloud is now available at both our locations. This entry was posted on Thursday, April 22nd, 2010 at 3:21 pm	and is filed under Uncategorized. You can follow any responses to this entry through the RSS 2.0 feed. Both comments and pings are currently closed.